So if you wondering why it’s been a little quiet lately, I must apologize. 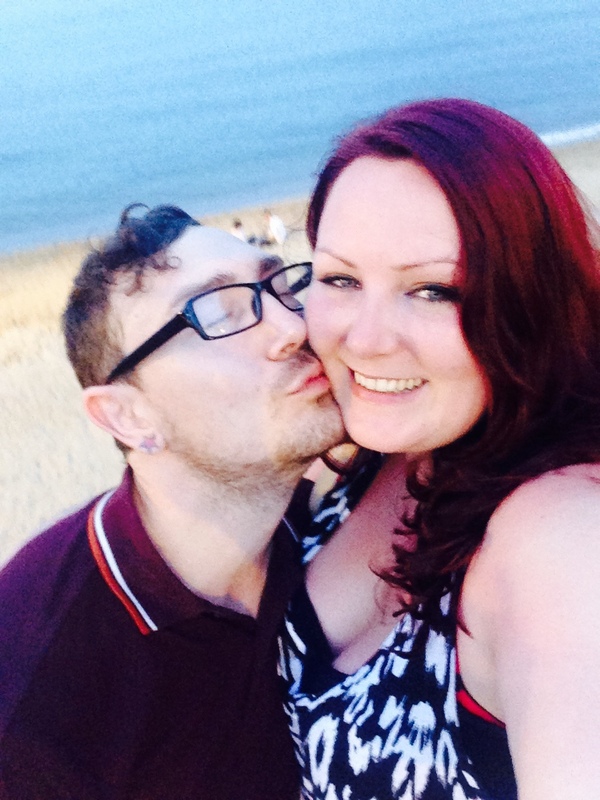 That is because I have been super busy planning… my wedding! That’s right Mr Jones popped the question and we are very excited be getting married, in a gorgeous little lighthouse next year, followed by a ‘DIY’ wedding reception in a village hall. 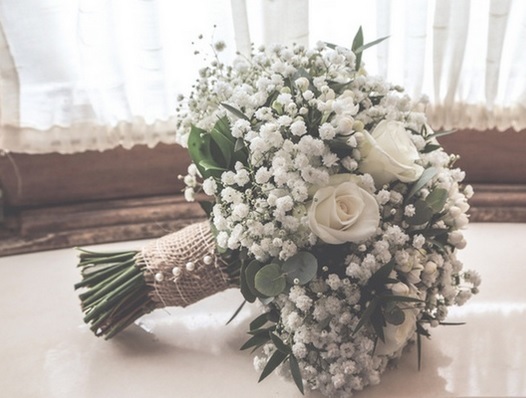 You can expect many money-saving tips around event planning in general in the weeks to come – but fear not I won’t bore you too much as in January I will also launch my new wedding blog. There is a certain type of crazy organised, idea hungry bride out there and it will be of more interest to them than you fun loving London lot I am sure! But just in case, I’ll let you know more soon. Dotcomgiftshop have launched some snazzy new designs that will make unique Christmas gifts this year. 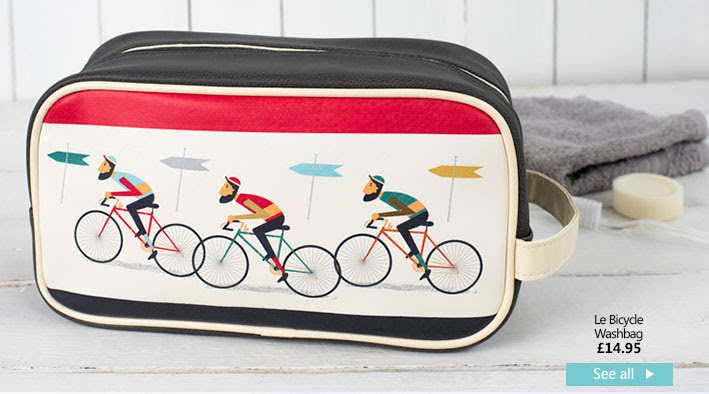 Inspired by a halcyon era of bicycle racing between the 1950s – 1980s, they have launched a stylish and contemporary range of cycling and grooming accessories, which beautifully show the enduring romance and iconography of cycling’s golden age. 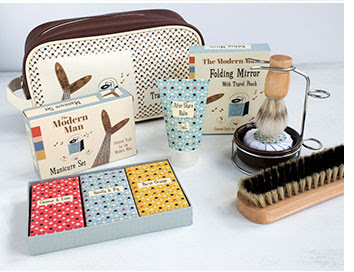 Perfect for the men in your life who caught the olympic fever this year! At £14.95 it would make a great stocking filler – or better still add your own gifts to the bag and make it the stocking! For the science geek it doesn’t get any better than items decorated with the periodic table. 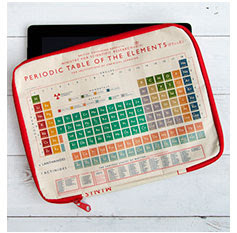 My brother’s doing a chemistry PhD and I think I will have to get him this gorgeous tablet case – and such a bargain at £1! I’m always looking for a pub with a good Sunday roast. 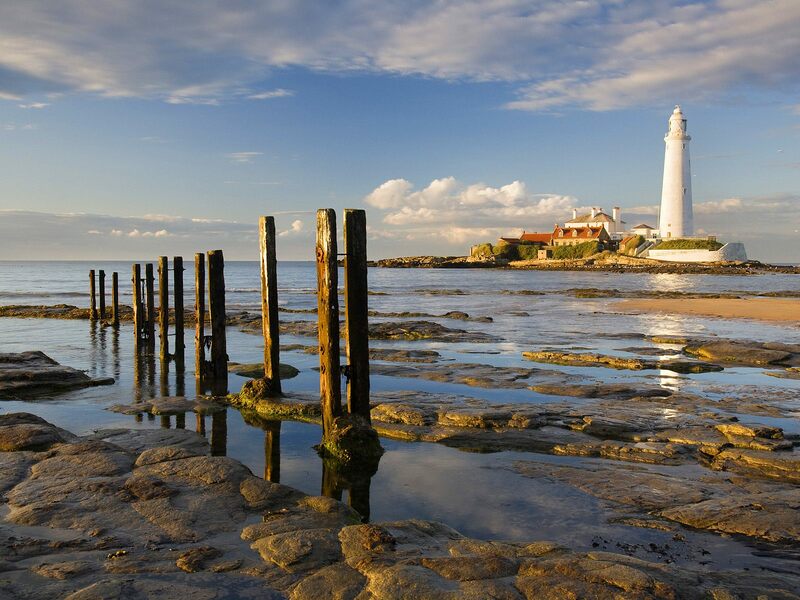 London may do the vegetables well, but you struggle to find the lashings of meat and gravy that you get in the north! One pub even charged me extra for my extra gravy. While watching an episode of Celebs go dating recently, I saw that Geordie Shore’s Charlotte Crosby actually took her own tupperware tub of gravy on a date – that seriously was my new mindset on how to go about my roast dilemma. Kennington is an odd one too in that there are nice places (take the Tommyfield and The Dog House) but they are so pricey, packed and hard to sit comfortably on a sofa or on a table a wee bit too small. I came across the Duchy Arms on my way back from Tesco last month, Matt and I popped in for a pint and I was pleasantly surprised at the Edwardian decor, range of cask ales and spacious layout. I returned this weekend to sample their Time Out recommended Sunday Roast and I was suitably impressed. With one course at £12.95, two courses £15.45 and three courses at £17.95 I opted for the two courses with chicken wings to start and lamb leg roast. Firstly, the portions are great. After a busy day of cleaning, packing for holidays and gardening we hadn’t eaten and this filled the gap very nicely. The wings had just the right amount of spice and lashings of sour cream and pickled salad on the side. The roast was beautiful with so much tender lamb meat (pink how I like it) and actually they did ask how well done we’d like the meat which is great if like my parents you prefer the well done variety. It included a huge Yorkshire pudding (soft at the bottom crisp at the top as it should be!) and plenty of gravy. When I say plenty of gravy, this is a big must have for me – nowhere in London gives you enough in my opinion! To compliment it a glass of Merlot at £4.80 – not bad at all. 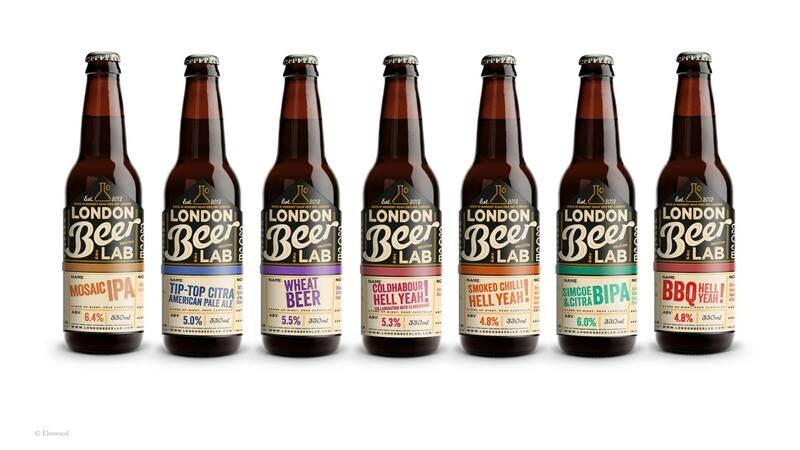 Last month I found the ideal date night solution on Groupon, a beer tasting session at the London Beer Lab, Brixton. So many a happy Friday I spend in the pub with my gorgeous one, but an activity that’s educational and drunken ticks all boxes! Under one of the iconic Brixton rail arches, this microbrewery is tiny, but very interesting and the staff are friendly which is important at such an intimate gathering. 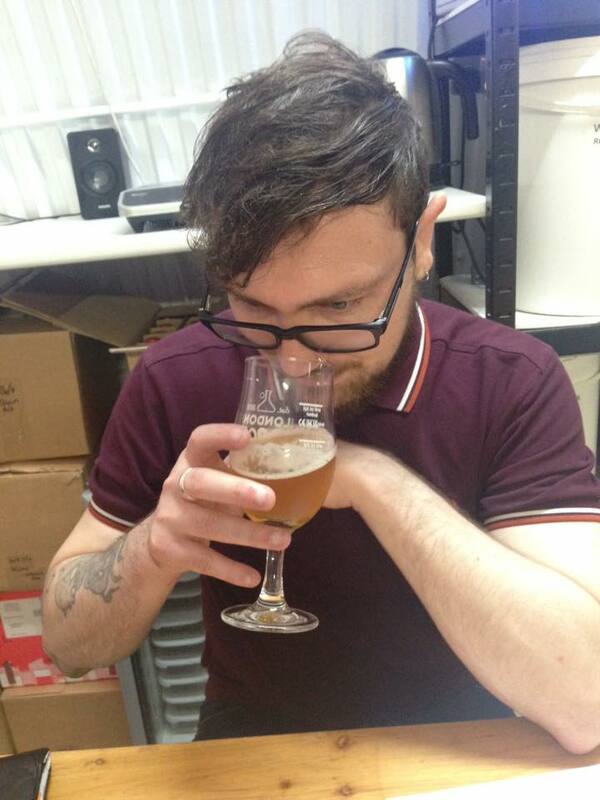 Priced at £12 per person for 10 beer tastings (small glasses!) and costing even less on promotion on Groupon, it’s an affordable date. We were early to arrive, and made our way up into the top floor, where benches and tables are laid out like a beer hall in the middle of plastic casks and brewing equipment. Snacks are laid out in little glasses (Thai crackers and the like) and a big bucket with a water jug allows you to swill your glass between rounds. 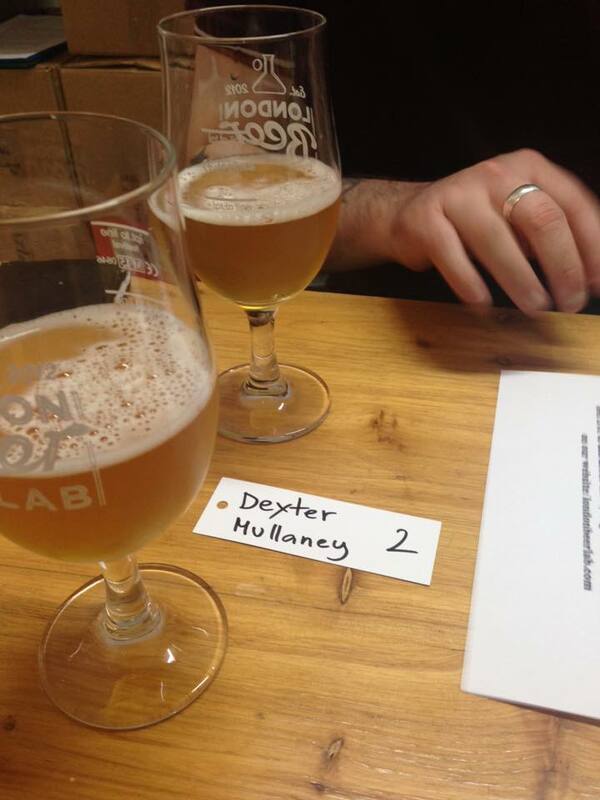 Some of the beers were quite strong (and a lot of IPA and pale ales to Matt’s delight!) so we were fairly tipsy by the end and made friends with another couple sat on our table. It gets a little hot in there in the summer so keep your day time attire on! Customers get a 10% discount on bottles in the mini-shop to take home – so after our obligatory Wetherspoons jaegerbomb for the road we were clinking our way home on the bus very happy. 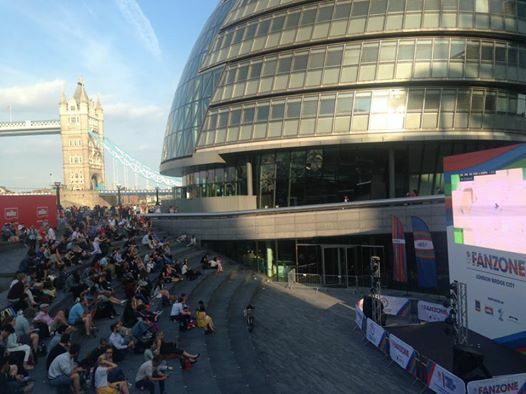 If you are looking for a little pub to chill on a weeknight – I would recommend The Oval Lounge in – you guessed it – Oval! 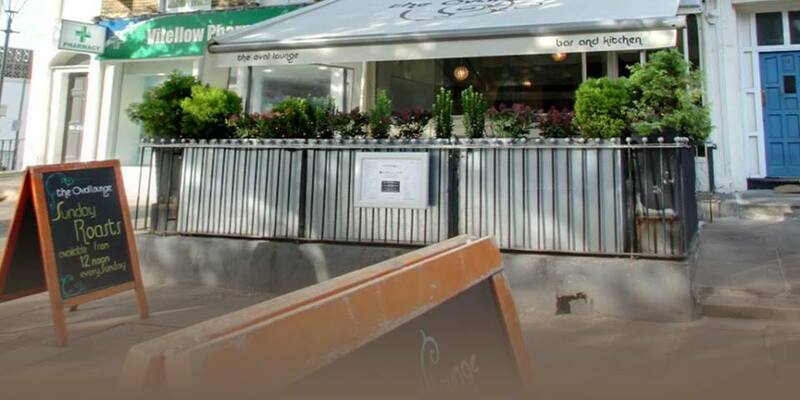 It’s close to the station, and has a Happy hour until 7pm with £3 beers and £12 wine. A really cozy little venue (with twinkling lights in the beer garden!) to relax in. 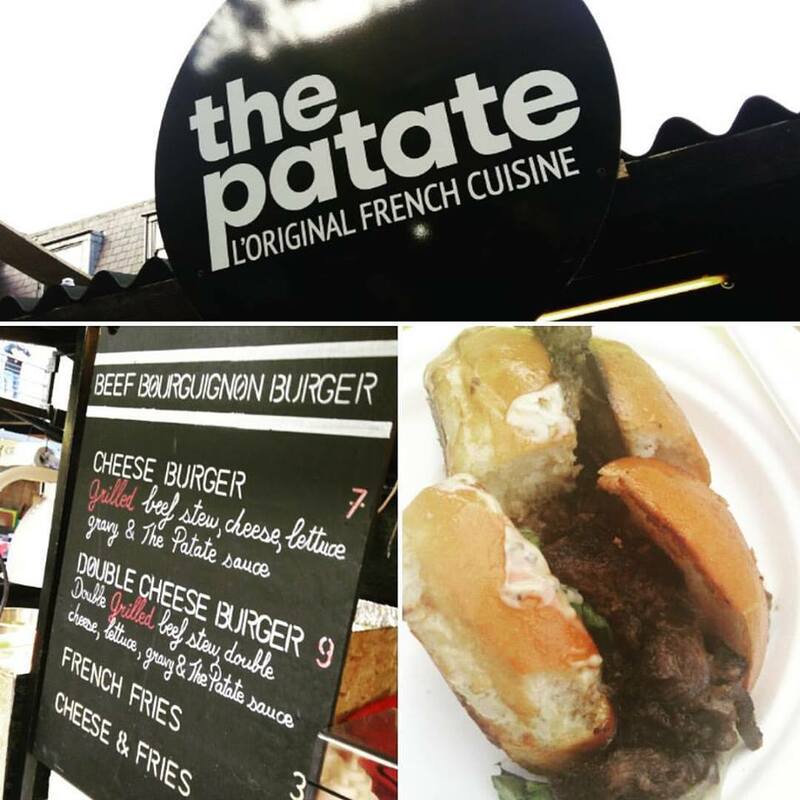 The only let down is the food, pretty pricey for some average burgers (and one time I had the cheese board – it was boring and really not worth the money. No variation on the crackers and bread, just standard plain, no butter, no chutney. Basically a couple of slices of cheese and one segment of apple!) That said they do accept taste card on weeknights which puts it more in the price range I would expect for the food. It has great tiered steps perfect for sitting down, or deck chairs that you can hire. Sound and picture quality are good, and there are public toilets nearby. Take a picnic, or sample the Tanga stall (basically spicy pulled pork in a pita bread – looked delicious!) and chill out with friends. It runs from the 6th-21st August so there are a few days left to try it out! 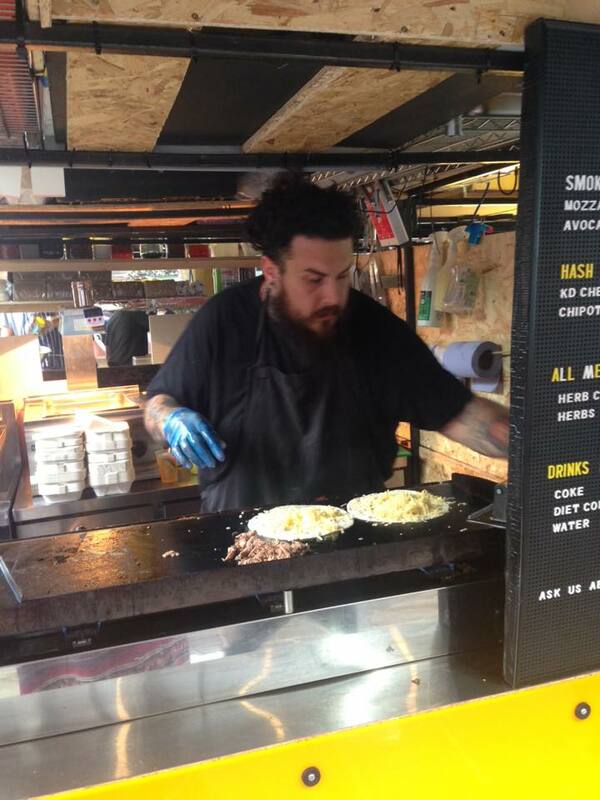 KERB Camden Market is the newest and biggest player in London’s dynamic street food scene. Open 364 days a year, 35 of the capital’s best-known and most innovative traders will offer locals, Londoners and visitors a unique eating and drinking experience in this iconic canal-side place. 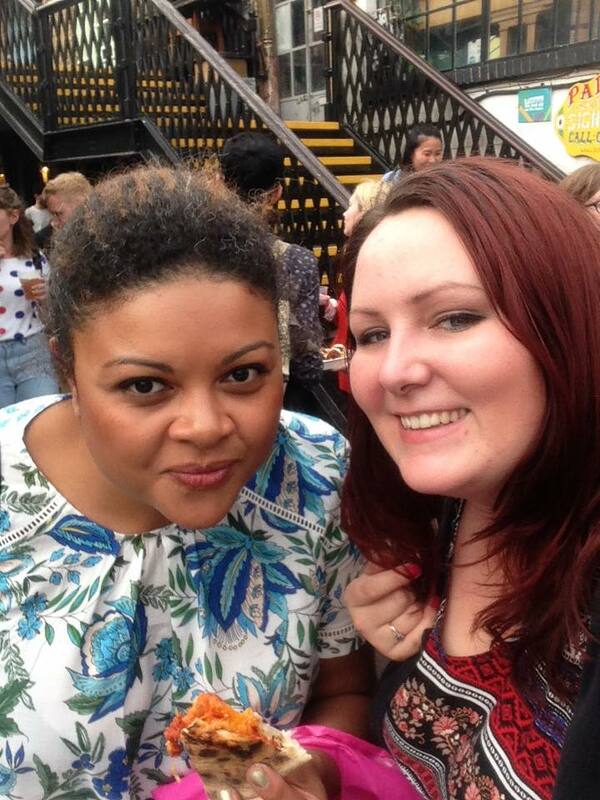 To celebrate the launch I went along this week with fellow food blogger Toli Benson (Fork My Pie Hole) to sample the food and drinks from street food legends such as Mother Clucker, Crabbie Shack, Killa Dilla and Roit House. Now, I know what you’re thinking, hasn’t Camden always done street food? Well… perhaps, but this is another level. Gone are the sad dried up noodles, strange opening hours and that uneasy feeling you get as you perch by a rubbish bin to eat your wares (all the while watching out for pickpockets or flies landing!) It’s now sleek, laid out in a sensible and easy to navigate way, plenty of sitting and leaning areas and food that isn’t just convenient but is truly restaurant quality in flavour. Check it out at www.kerbfood.com and take a look at some of our adventure below! 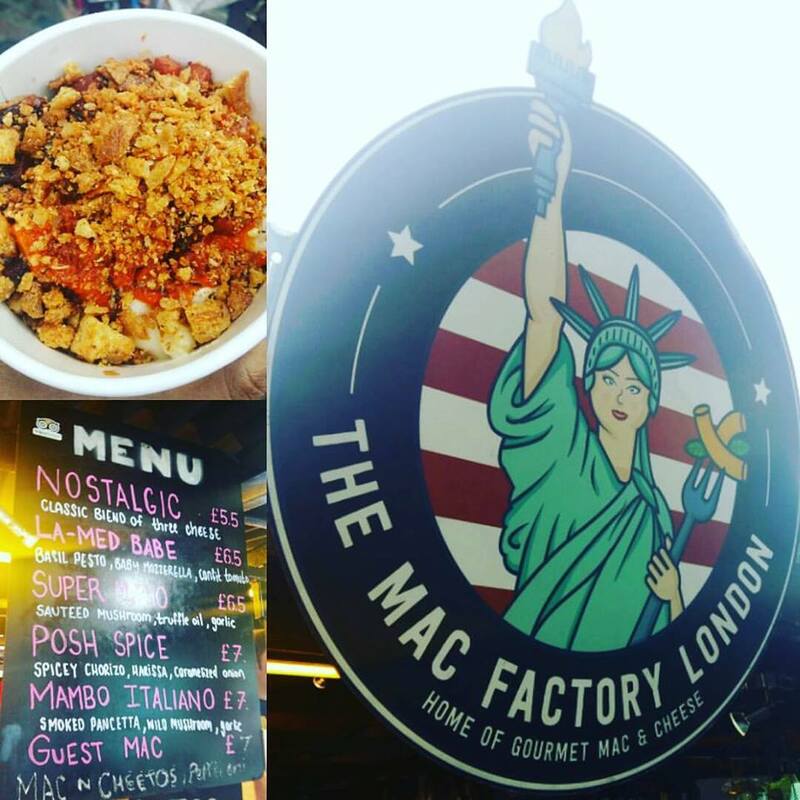 The Mac Factory – OMG, I don’t usually rate mac and cheese, it’s a home food and I wouldn’t pay for it. How wrong I was – this crispy topped chorizo filled mac and cheese blew my mind! 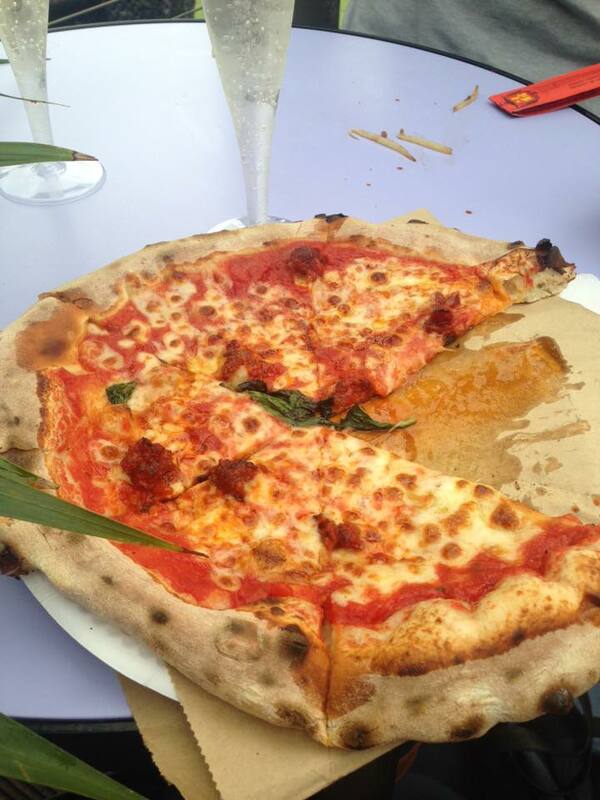 Born & Raised Pizza – covered in honey. Such a rich and indulgent taste, mixed with a really herby and delicious tomato base. 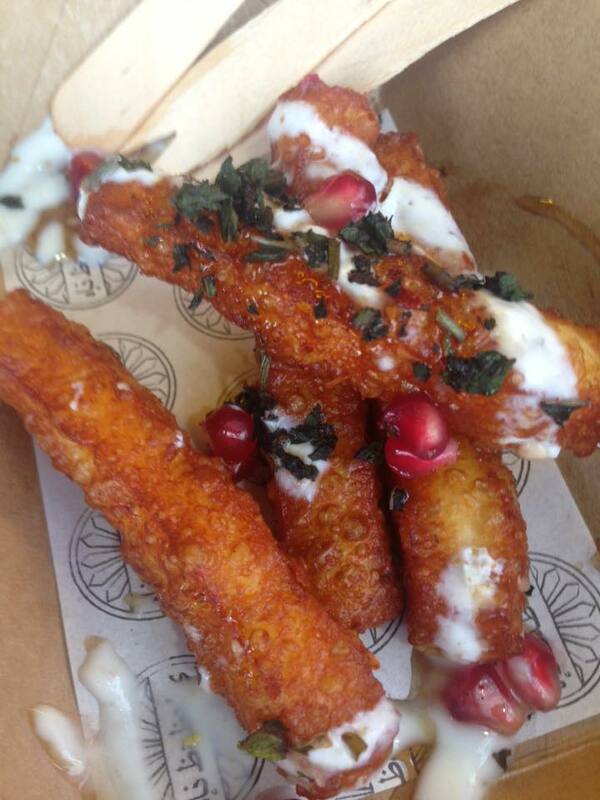 Oli Baba’s HALLOUMI FRIES – Served with Za’atar Yogurt, Pomegranate Seeds, Mint and Sumac they are so very perfectly spiced, crisp and a total tummy pleaser. 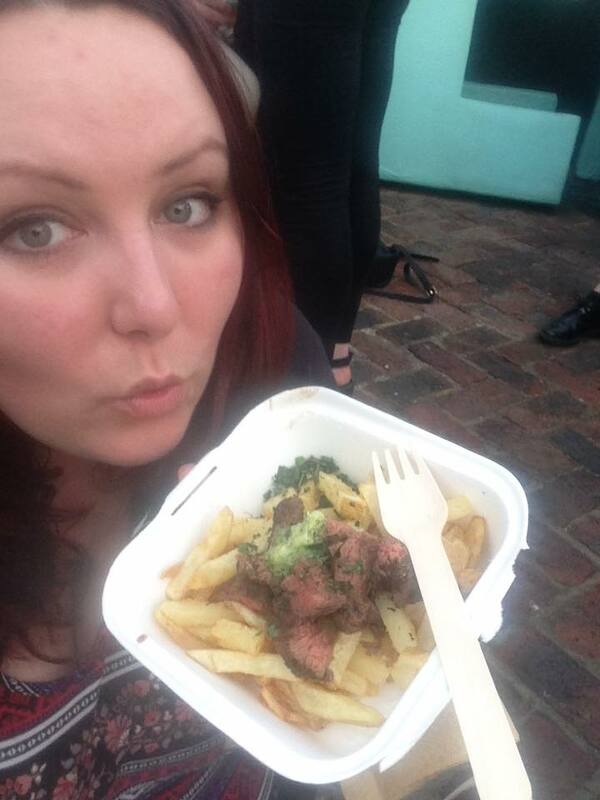 STAKEhaus – a delicious sample of their steak and chips, dripping in garlic and herb butter. Pink and rare – just how I like it! Verdict: 10/10 I cannot wait to go back! If you’re saving for a last-minute summer holiday, the nice weather is the perfect opportunity to relax in your own garden or indoors with the windows open and avoid the busy restaurants altogether! I’ve sampled some new ranges this summer and here are a few of my favourite! 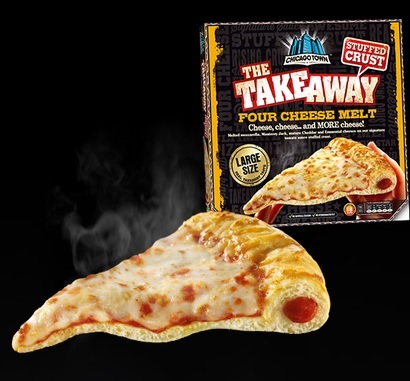 Chicago Town has launched seven new varieties to their takeaway range including Pulled Beef Brisket, American Hot, Four Cheese, Cajun Chicken, Deep Dish Meatball Melt, Deep Dish Mega Meaty and Pizza Melt BBQ Chicken. I love the taste of the dough in the take-out range, it is the closest to my favourite Papa Johns takeaway pizza, and pretty good that you can just cook in the oven from frozen for a fraction of the price! The four cheese while it sounds like the plainest it actually surprised me, it just oozes deliciousness and the cheese goes well with the tomato stuffed crust. The pulled beef brisket is so juicy – I would definitely recommend! 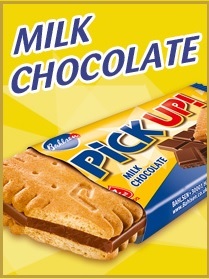 If you have a sweet tooth, you may like this chocolate spread with a difference. Former IT worker Kevin Bath waved goodbye to the City after being appalled by the level of sugar in his children’s spreads and snacks, and created a chocolate spread with a lot less sugar than popular brands. Now available in Tesco, Ocado and Holland & Barrett its chocolate gooey heaven – and while I am not totally convinced it’s in any way healthy, it is still a great way to relieve some food guilt knowing it’s far less packed with sugar! 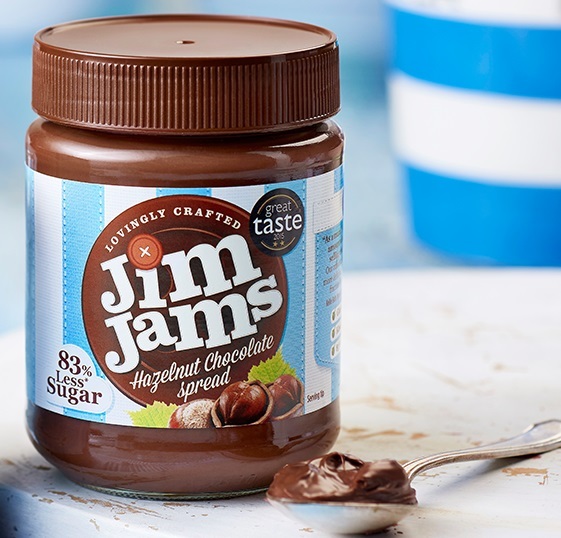 JimJams aren’t the only brand going sugar-free this summer – very on trend! POLO have launched a Sugar Free Extra Strong Mint. I actually love this mint as it doesn’t melt away as quickly as the more sugared ones! 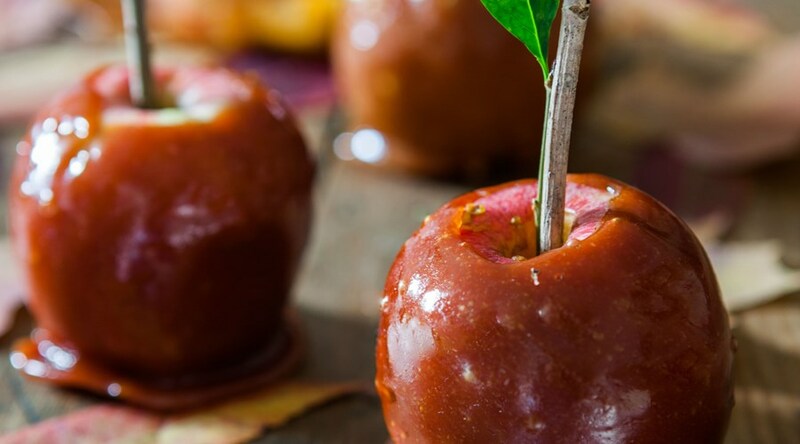 It’s great for keeping sweet cravings at bay while I’m on slimming world too. POLO Sugar Free and POLO Sugar Free Extra Strong (RRP 50p) are both accredited by the Oral Health Foundation so again guilt free snacking, I love it! My one criticism of a polo is the top mint always gets a bit grubby in my bag. If only you could seal the packaging up better it would be a 10! 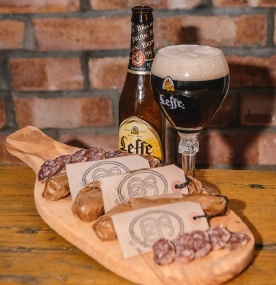 The Belgian beer brand, Leffe, has teamed up with British charcuterist, Adrienne Treeby, owner of Crown & Queue to create an exclusive Leffe salami. Using only British Heritage pork and a number of locally-grown herbs – and allowing the right amount of time for the ingredients to infuse at a specific temperature & humidity – Adrienne has created a delicious & unique sausage which reflects the age-old heritage of Leffe abbey beer. The Leffe Brune Infused Sausage are available to buy in a box of three for a limited time only this summer priced at £18 for three at Crown Queue Meats and are absolutely divine. I made a slight error by leaving in the fridge (best served at room temperature) which made it a little tough, but when it warmed up it was so peppery and succulent! 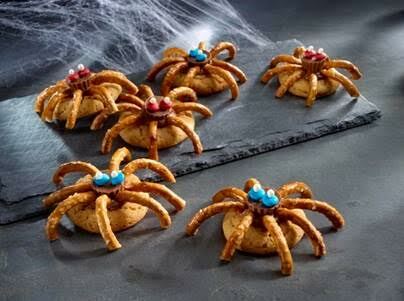 I think these are a real and unique treat – if a little on the premium side of the cost scale!